President Nixon sits down with President Gustavo Diaz Ordaz of Mexico to discuss matters of mutual interest between the neighboring nations. On this day 44 years ago, President Nixon traveled to Puerto Vallarta to begin his first official state visit to Mexico. A year removed from their meeting at Lake Amistad, the two leaders were eager to resume the personal acquaintanceship fostered then. RN and Ordaz one year ago at Lake Amistad. 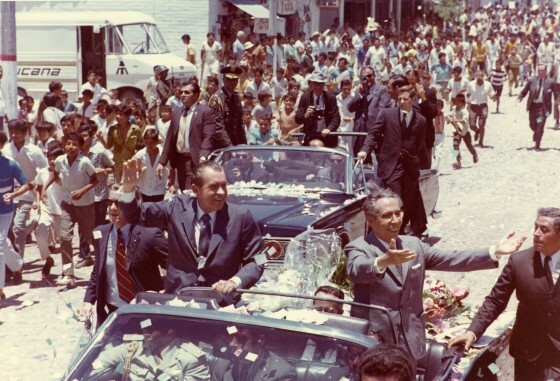 President Nixon was treated to a very warm welcome in Mexico one year later, on August 20, 1970. Many items of bilateral concern lay waiting to be conferred upon, as the geographical bond of the two nations undoubtedly linked the two in economic and political marriage. The United States and Mexico suffered from problems of smuggling across the border–drugs into the United States and merchandise into Mexico. 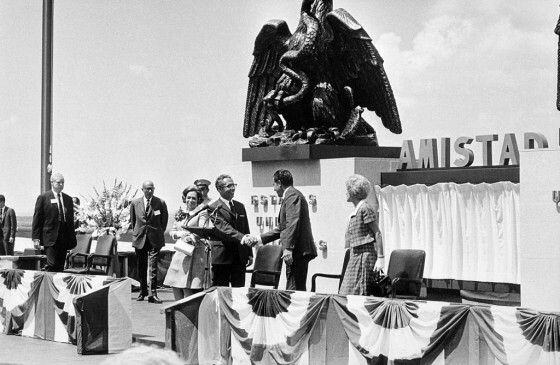 Thus, upon taking office, President Nixon prioritized the need to enhance U.S. and Mexican customs cooperation. Additionally, boundary differences along the Rio Grande and the Colorado River remained to be solved. The United States and Mexico had yet to agree, in the 20th century, on the location of the international boundary from sea to sea. To make matters slightly more controversial, the Mexicans were unhappy with U.S. water deliveries from the Colorado River, objecting to their degree of salinity. Lastly, the Ordaz administration was concerned with access to U.S. markets for Mexican products, sensing a growing protectionist demeanor in the United States. -express satisfaction and continued cooperation in making progress towards resolving substantive issues. Below, view a memorandum prepared by President Nixon’s National Security Advisor, Henry Kissinger, highlighting suggested talking points and principle issues to address during RN’s visit to Puerto Vallarta, Mexico. 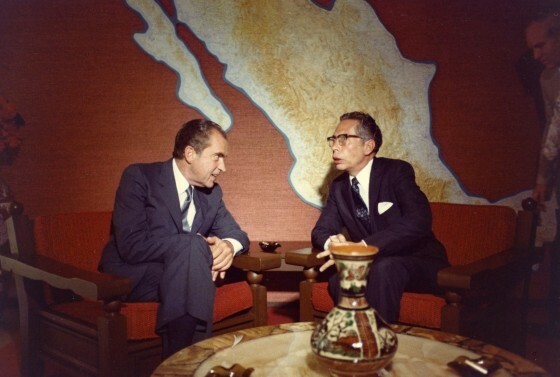 The fruitful discussions between President Nixon and President Ordaz on August 20, 1970 produced an announcement of a final boundary agreement. The U.S.-Mexico Joint Communique, establishing an undisputed boundary, can be viewed below. The Joint Communique also stated that the two Presidents discussed the salinity of the Colorado and the two countries’ continued cooperation in suppressing illicit drug trafficking between the borders.